Georgia is famous for its peaches but have you tried one of our apples? In 2014, Genuine Georgia formed the Georgia Apple Company, produced by three of our five family farms. Just like our peaches, we value freshness and flavor - which means you can only grab up our apples for a limited time rather than year-round. With this standard, we are reshaping and revitalizing Georgia's ever-growing apple industry. Georgia Apple Co. currently has over 50,000 apple trees planted and growing. We plant, grow and source the best Eastern apples in all of the U.S. While you may be accustom to buying a bagful year-round, we offer our apples at their peak, from August to December. This means our apples are new, fresh and full of flavor rather than being stored on shelves for months at a time. 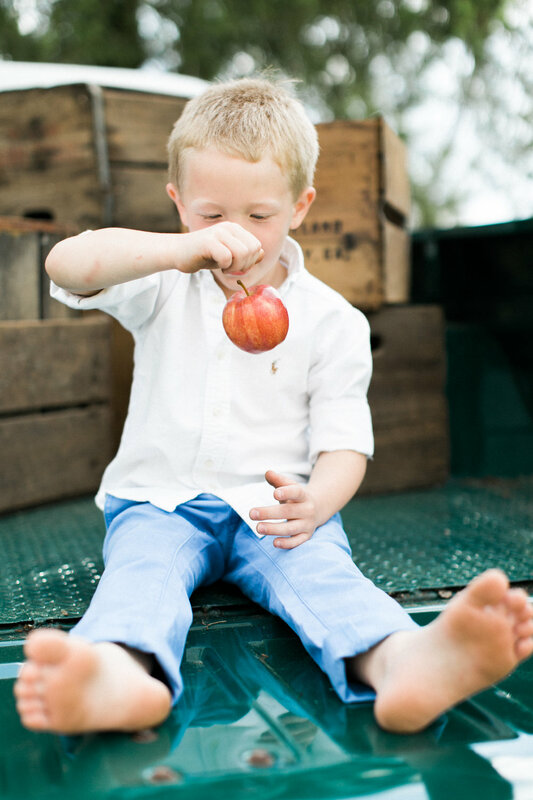 Taking a cue from our fifth-generation peach expertise, we know fresh is best. Just like peaches, apples come in all different varieties. At Georgia Apple Co. we produce Ginger Gold, Gala, Golden Delicious, Red Delicious, Fuji, Granny Smith and Rome. An apple a day keeps the doctor away... unless it's boring and bland. Luckily our delicious + nutritious Georgia gems are just what the doctor ordered. It's no coincidence that apples are the symbol of good health. They regulate blood sugar, contain antioxidants and are a great source of fiber and vitamin C. Check out the USDA's Food Fact sheet for additional nutrition information as well as uses + recipes. The Georgia Apple Co. packing plant is located in Woodbury, Georgia at Fitzgerald Fruit Farms. This state-of-the-art facility is Global GAP certified and has the capacity to run bagged, bulk and tray-packed apples.